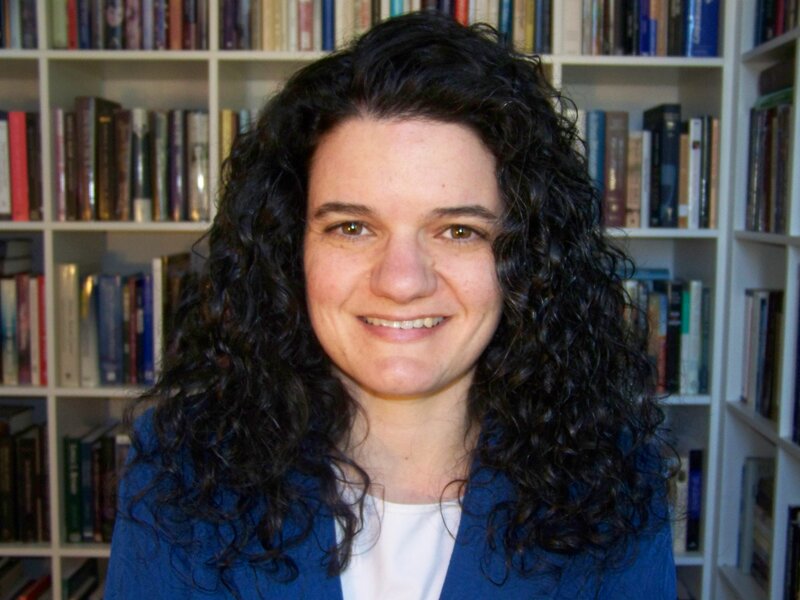 Julie Smith, author of New Testament Commentary: The Gospel According to Mark, published in 2019. I highly recommend this book to any serious student of the Gospels. As found in The Gospel according to Mark: New Testament Commentary, Brigham Young University, p. 901-903. There is a most curious aspect to Mark’s Gospel: Jesus frequently tells people to not tell others what he has done for them and sometimes he appears to try to hide his identity. 1 Scholars have offered various theories to explain this phenomenon, which came to be called the “messianic secret.” The first prominent theory, advanced in the early twentieth century by William Wrede, was the messianic secret did not originate with Jesus but rather was constructed later in the tradition in order to explain why Jesus was not perceived to be the Messiah. While this theory was popular for much of the twentieth century, it became less so in the 1970s when the argument was made that the theory did not entirely account for all of the data. Today, scholars generally recognize the tendency in Mark’s Gospel for Jesus to put restrictions on the proclamation of his identity, but they no longer accept Wrede’s explanation for it; not all scholars accept the idea of a messianic secret in Mark, and those who do turn to other explanations for it. Some have held that secrecy was appropriate before Jesus’ death because it would have been premature to declare that Jesus was the Christ before that point. A variation on this theory is that it would have been misleading for people to follow Jesus solely because he was a miracle worker, and so Jesus did not want people drawn to him for that reason. 2 Support for this theory may be found in the idea that Jesus was actually quite open when prophesying about his suffering (8:31-33). A curious aspect about the secrecy motif is the frequency with which it is violated in Mark’s Gospel; Jesus’ requests for secrecy are often ignored, and Mark tells us all about it. 3 These passages cast doubt on Wrede’s theory that the idea of Jesus as Messiah is a later creation, because if Mark is concocting a story that Jesus really was the Messiah, and the reason no one realized it was because Jesus told people not to tell, then it makes little sense to have Jesus’ command be violated on multiple occasions. 4 There is no current scholarly consensus regarding the messianic secret in Mark, although there is a general recognition that Jesus tried to limit transmission of knowledge about his identity. Beyond that, there is no agreement regarding the purpose or parameters of the prohibition. A few Latter-day Saint writers have weighed in on the idea of secrecy in Mark’s Gospel. Daniel C. Peterson points to the existence of the messianic secret as evidence that secrecy is not foreign to Christianity, and he says this in a defense of the Latter-day Saint practice of maintaining secrecy regarding temple rituals. 5 Daniel B. McKinlay has similarly argued that what can appear to be the messianic secret in Mark is not the result of Mark fabricating a practice of Jesus wanting to keep teachings private, but rather was the very real practice of restricting some teachings to an inner group of disciples. 6 Two objections might be raised to these interpretations: first, the material that Jesus asked the disciples to keep secret does not overlap with the material central to modern LDS temple rituals; and second, what Jesus tried to keep secret during his ministry was revealed in the Gospel of Mark, suggesting that the secrecy function is different in Mark. 7 Roger R. Keller explains the messianic secret in different terms, finding two reasons for the secret. First, the rush of people that resulted when Jesus’ requests for secrecy were violated (see Mark 1:38, 45) made it impossible for Jesus to pursue his ministry; he had to go into the desert to avoid the crowds. Thus, according to Keller, the purpose of the secrecy was to permit Jesus to fulfill his ministry. Secondly, it created a false impression of what it meant to be the Messiah when people were focused on Jesus as a miracle worker and did not understand that Jesus had come to suffer and die. 8 This theory is more in line with the thinking of non-LDS scholars on the subject. It is difficult to draw conclusions about the messianic secret because the evidence for its existence is mixed and somewhat complicated. Perhaps it is simply safe to say that Mark has a general tendency to feature Jesus asking people not to publicize certain aspects of his ministry. Latter-day Saint readers would not generally be sympathetic to Wrede’s argument that the idea of Jesus as Messiah originated not with Jesus but with the later church, but they would perhaps find an affinity between Jesus’ requests for secrecy and modern LDS practices related to temple worship, although the analogy there is admittedly not perfect. Jesus’ requests for people not to preach about his healing miracles is most likely tied to his desire that, before his death, he did not want people to be misled about what it means to be a Messiah. For examples of the messianic secret, see Mark 1:23, 34, 43–45; 3:11–12; 5:43; 7:36; 8:26, 30; and 9:9. There is one odd exception to the general rule of secrecy: Jesus tells the Gentile man who had had a demon to tell his family that Jesus had healed him (see Mark 5:19). Of course, this raises an important question: Why did Jesus perform miracles if it was not helpful for people to know about them? See Mark 1:25–28, 43–45; and 7:36–37. See Ben Witherington, The Gospel of Mark: A Socio-Rhetorical Commentary(Grand Rapids, MI: William B. Eerdmans, 2001), 40–41. See Daniel C. Peterson, Offenders for a Word (Provo, UT: FARMS, 1998). See Daniel B. McKinlay, Temples of the Ancient World: Ritual and Symbolism(Salt Lake City: Deseret Book; Provo, UT: FARMS, 1994), 492–514. For it to be parallel with modern Latter-day Saint practice, one would envision a situation where, a generation after Joseph Smith’s death, LDS writers made the contents of the temple ceremony freely available in writing. See Keller, “Two Facets of a Diamond,” 92–107. This entry was posted in Early Christianity, New Testament and tagged Gospel of Mark, Julie Smith, Messianic Secret, New Testament. Bookmark the permalink.